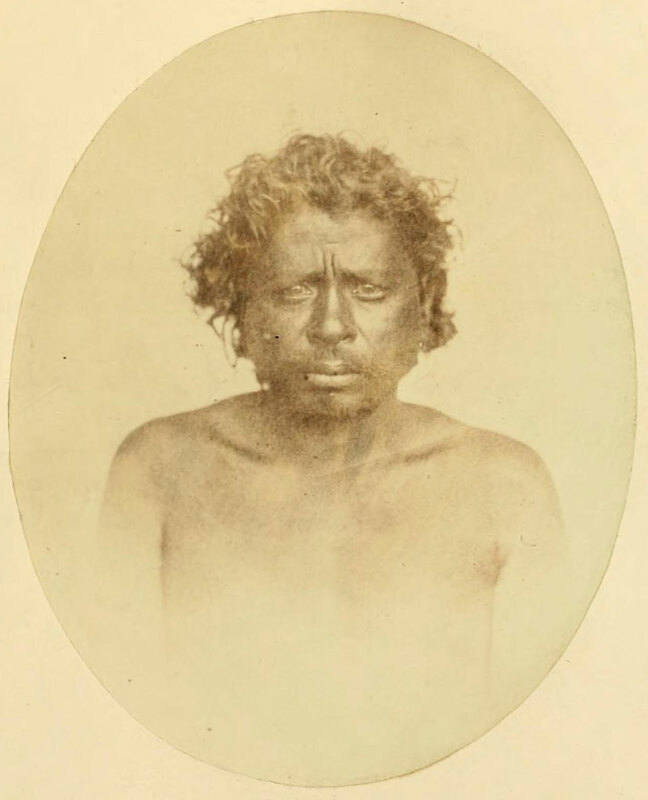 The Sonthals, though belonging to the same race as the Coles, Bheels, and other cognate aboriginal tribes of India, have not, until a comparatively recent period, been settled in the territory which they rendered for a time famous by their rebellion in 1855. They were a wandering race from the neighbourhood of Cuttack and Pulamow, and were permitted in 1832 to settle themselves at the foot of the Rajmahal hills, on land which the hillmen would not cultivate. In 1851, they numbered 82,795 souls. They are well made and active men ; possessing the thick lips, high cheek-bones, and spread nose of the Bheel, Cole, and other hill tribes, and nearly beardless ; quiet, inoffensive, cheerful, intelligent, and obliging ; timid, cowardly towards mankind, but brave when confronted with wild animals. They are industrious cultivators, and enjoy their existence unfettered by caste; they eat beef, kid, pork, poultry, drink a spirit called pachui, and have no objection to a hearty dance ; but, on the other hand, do not refuse to eat even snakes, ants, frogs, and field rats, when better diet is scarce. The Sonthal women are fat and short, and though not pretty according to the European idea of beauty, have a very pleasing expression of countenance. The men are generally five feet six inches in height, and weigh about eight stone. The dress of the men is a small piece of cloth round the loins, that of the women an ample flowing cloth, one end of which is fastened round the waist, the other passed over the left shoulder, leaving the right shoulder and arm uncovered ; the women are fond of such simple ornaments as they can afford (and by no means particular as to weight; one woman’s bell-metal ornaments weighed thirty-four pounds!) 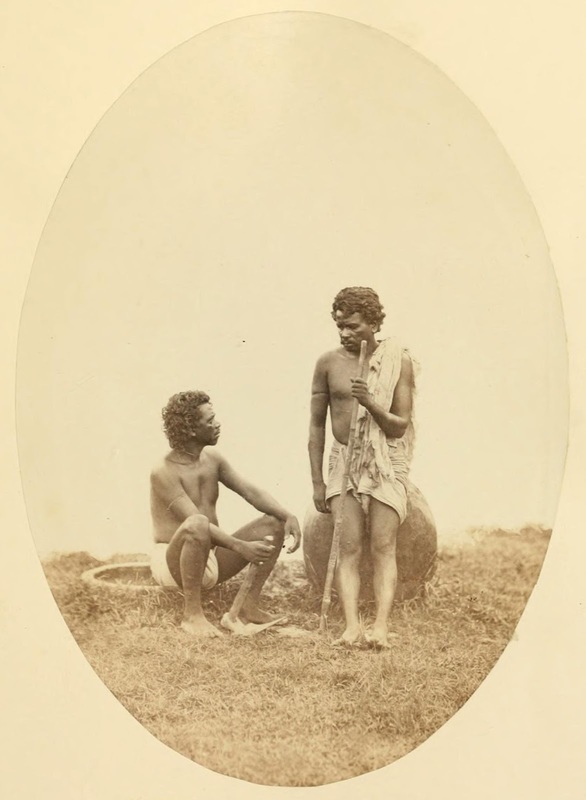 the men wear small zinc ear-rings, finger rings, and sometimes a wrist bangle of iron; the hair in both male and female is worn long, and tied in a knot on the crown of the head. The Sonthals, though armed with no more formidable weapons than bows and arrows, are excellent shots ; " so expert that nothing with life is to be found near their villages when of any standing ;" bear falls an easy prey, and Captain Sherwill mentioned having seen running hares and even birds on the wing, brought down by them ; these latter with blunted or knobbed arrows. The country now inhabited by the Sonthals (the capital of which is Burhait) is situated south of the Ganges, in lat. 26° N., and long. 87° W.
From the Book "The people of India : a series of photographic illustrations, with descriptive letterpress, of the races and tribes of Hindustan"